If your cafe / restaurant / house is drafty and cold in the winter, you’ve likely already been looking at ways to batten down the hatches. From adding insulation in all forms possible, planting wind-blocking hedges to using windows with the tightest seal, these six ideas can help. Do you need to allow your door to be open for most of the day? Or do you have a situation where visitors are constantly coming in and out (such as a Hotel entrance, retail shop or cafe), all the while letting in the cold air / letting out your warm conditioned air? Or you may have an automated sliding door which opens everytime a customer walks into your facility or, in fact, when anyone walks past your doorway. Consider an air curtain. They send down a high velocity jet of air, from above the doorway, helping to keep out flying pests, dust, and drafts. Request a quote today for an air curtain and ask about the difference between ambient air curtains and heated air curtains. 2. Inexpensive PVC Strip Doors. Once again, if you have a doorway which is regularly opened and closed throughout the day, you may be interested in a PVC Stripdoor. PVC strips come in a variety of thicknesses and colours, or you could stick to the transparent variety. 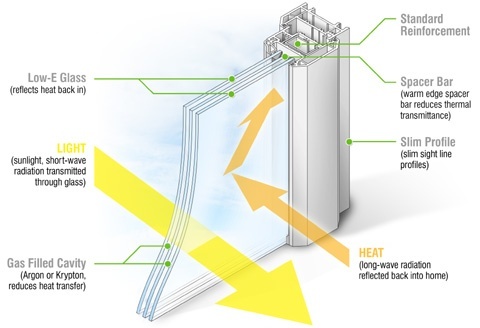 If your door is constantly being opened throughout the day, a PVC Stripdoor creates a secondary barrier which helps to keep in the warm air and to keep the cool air where it belongs. Of course a PVC Stripdoor barrier will never be as effective as a closed door but it certainly helps! Did you know that stripdoors can also be used for your catflap or dog kennel? Yes indeed - PVC Stripdoors can be made to any size at all. Enquire today. 3. Let the sun shine in. Surely the most inexpensive method of warming up your site is to make use of free, natural resources - be sure to open curtains on sunny days, to let the sun warm your rooms. This is a no-brainer. If your windows do not get much sun (because trees or shrubs are blocking the light, for example), consider pruning, moving or removing them - although think through their purpose during the summer months before you get your chainsaw out. 4. Choose awning or casement windows. 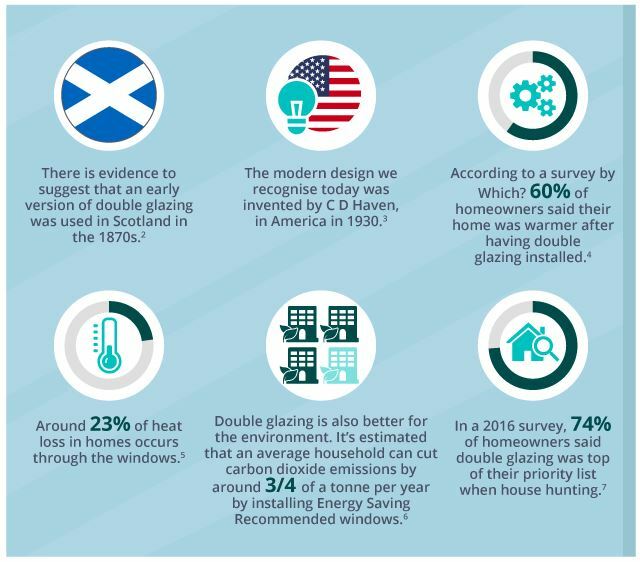 Double glazed, insulated windows definitely help to keep in the warmth during winter and cool air in summer, but did you know that the style of your windows can also affect how drafty they are? Some of the most common window types, including single and double-hung and sliding windows, tend to leak a bit of air. Awning, casement and fixed windows provide the tightest seal. 5. Enclose your porch. Just like adding a vestibule at an entry, enclosing a front porch is a great way to keep wind and drafts from entering a home. A covered porch has the added benefit of providing shelter to visitors as they wait for you to answer the door. 6. 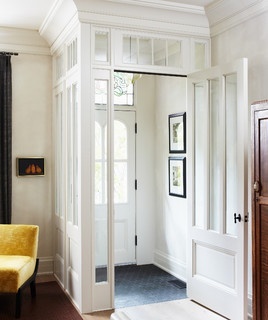 Hang portieres in open doorways. 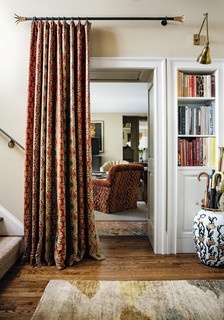 What on earth are portieres, I hear you say?Floor-length drapes hung between rooms, called portieres, are an old tradition well worth reviving. They keep drafts in wide halls or unused rooms from making their way into warm spaces. 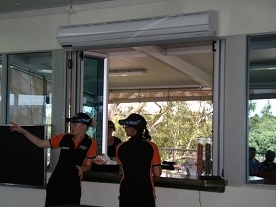 Download the Air curtain Brochure here.